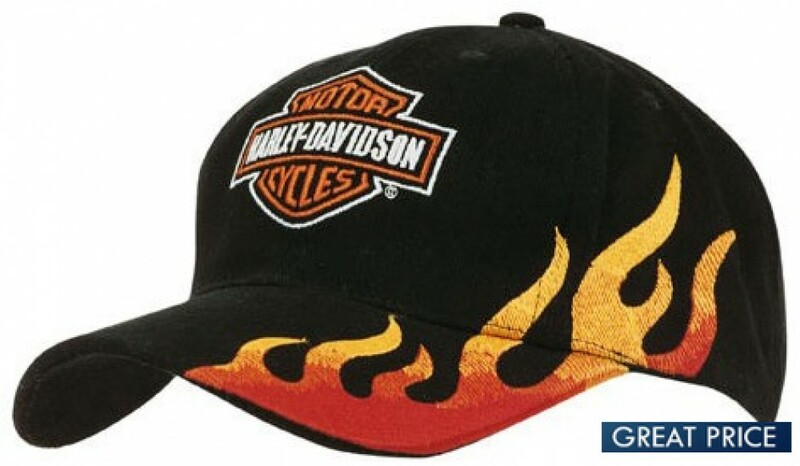 This hat keeps things hot by offering a great flame design along the bill and part of the hat. The yellow and red flames pop nicely against the black backdrop for an eye-catching appearance. This hat is made of heavy duty brushed cotton. With the breathability and durability of cotton, it can be worn all day. Cotton is also a very durable material, so if properly cared for, this cap will last and last. It is only available in one size, featuring an adjustable strap to fit most head sizes. It has a low profile so it hugs to the shape of your head nicely. The pre-curved arch is well built with a perfect height. This is a great hat with a range of possibilities. It makes a great uniform accessory for customer-facing staff in the automotive industry, barbeque sales or even restaurants that specialise in spicy food. Work or play the flames will make sure that you will get plenty of attention. It will make sure you are seen when you want to be seen, it can set you off from the crowd. We require your branding artwork .eps, .pdf or high-resolution .jpeg format. All products come with branding in the form of 8000 stitch-count embroidery as standard. Other branding options are also available -- ask our sales staff. With our rapid turnaround and fast delivery, these caps can be at your door anywhere in Australia in two weeks or less. Our efficient couriers will deliver to all addresses in Australia. We deliver to all states and territories -- NSW | QLD | VIC | ACT | SA | WA | NT | TAS. We deliver to all locations, urban and regional. Since delivery prices vary, we cannot list a standard delivery price on our website, but the price will be shown on your free estimate.